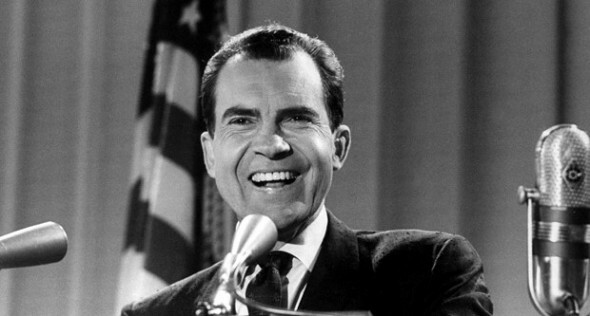 Having lost the 1960 election narrowly to JFK, Nixon wasn’t prepared to do so again in November 1968. But President Lyndon Johnson’s decision to halt the bombing campaign in Vietnam in October was calculated to help Nixon’s opponent Johnson’s Vice President Hubert Humphrey. Acting covertly, Nixon used an intermediary to sabotage the peace talks. The Humphrey team knew about it, but confident of victory, stayed quiet. Instead, Nixon won narrowly. The truth wasn’t revealed until after his death in 1994. 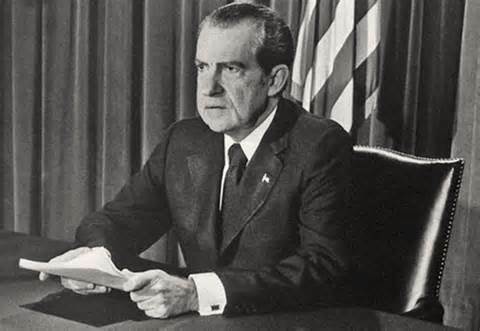 Nixon was elected claiming to have a “secret plan to end the war.” In fact, he had no plan. He first attempted to win the war as Johnson had, by fighting, also illegally invading Cambodia before ultimately withdrawing US forces and ensuring a Communist victory (in fairness, probably an inevitable outcome, whatever he did). Nixon’s administration also backed General Augusto Pinochet’s bloody coup against the democratically elected Salvador Allende government in Chile in 1973, leading to the deaths of 3,000 people. Nixon generally confused legitimate and fair political opponents with enemies of the state. His “enemies list” included everyone from Senator Ted Kennedy to entertainers like Bill Cosby (ahem) and Barbara Streisand. 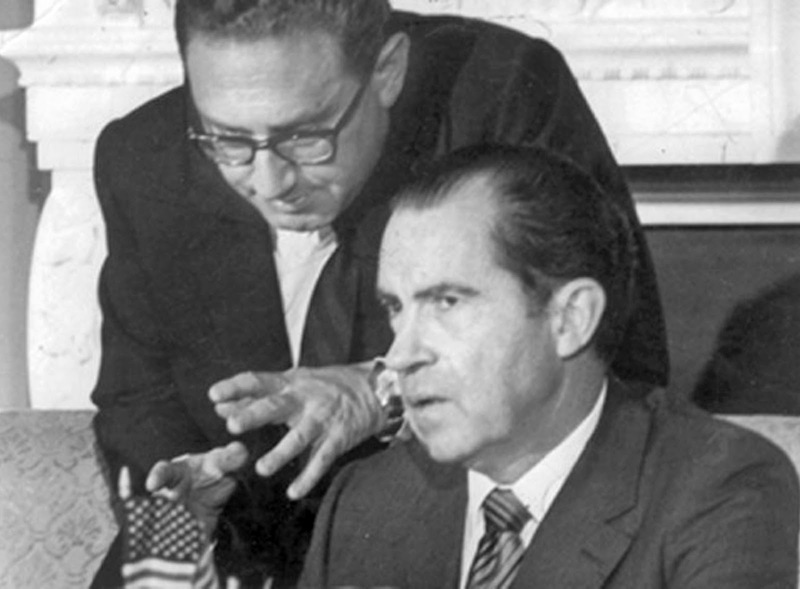 In 1972, having sabotaged the primary campaign of his most feared opponent Senator Ed Muskie, the Nixon team’s attempts to wiretap and destroy their political opponents escalated when a botched break-in at Democrat HQ led to the Watergate scandal which led to Nixon’s resignation in 1974. No scandal, other than the Iran-Contra scandal, has come close to Watergate in terms of severity. Nixon lied repeatedly, humiliated his country and himself and destroyed his own presidency.